“BYE DADDY” Kenny shouted loudly so I looked at him as he grinned at me from his highchair then lifted his arms because he obviously wanted to be set free, so I set him to free and let him wander into the living room where cbeebies was already on the tv which would distract him enough for me to clean up breakfast. “Papa!” He called after about five minutes so I went through seeing him sat, well laying on the couch watching the TV, “What hal-o-ween?” He asked frowning so I looked at the TV, all the presenters were dressed as witches and ghosts and all the episodes had a scary (but not) theme to them. “Halloween?” I repeated and he nodded “Halloween is a day were kids get loads of sweets and dress up in costumes” I said mostly because he was three. “Do you want one?” I asked and he nodded quickly so I thought then went through to the kitchen and through the bedding that’d been washed a few days ago. I then cut two holes in one of the white pillow cases and took it back through to Kenny making him stand on the couch so I could put it on him which made him giggle “Do you want arm holes as well?” I asked and he nodded so once he stood still he got arm holes cut in. He was definitely the cutest ghost I’d ever seen and after I’d taken the mandatory picture I asked him what he wanted to do which got a very dramatic shrug “Would you like to make a pumpkin?” I asked and he frowned at me “Come on” I said picking him up and taking him through to the kitchen were we had some little pumpkins on the counter “We have to leave one for daddy” I said and Kenny nodded “But we can decorate the other two” I said so he nodded again just more happily this time. I gave him a permanent marker to draw on the pumpkin with feeling it was probably best I didn’t give him a knife to carve it and I also found it about ten times easier to do with just a marker, Kenny went to town on his there wasn’t a face he’d just drew on it, I’d drawn a face, not a brilliant face but a face. We then placed them in the windows in the living room. “F-f- Kenny” he said making me laugh, laugh quite a bit, to the point of tears. “Why is he wearing a pillow case?” Ryan asked once he’d re-caught his breath and my laughter had died down. Proud to be a British Author! When thinking about pretty much all my favourite authors I discovered (besides J.K Rowling) that they were all American, which honestly I have nothing against but it got me thinking and I realised just how proud I was to be a UK based LGBT YA author. I know sometimes there might be a language barrier or there may be a misunderstanding about a spelling (colour = color, theatre = theater, centre = center) but I will always remain to be a British Author. Sure in Gay Brigade: Darren and Luke and Until Next Time, I have taken upon an American narrative, to test myself and to also have fun, because both times it was increasingly fun but every other book it’ll be a British narrative, usually scouse (Liverpudlian) and I shall continue to do that. Proudly. Obviously Halloween is upon us and because of that I’ve been feeling the Supernatural vibes. 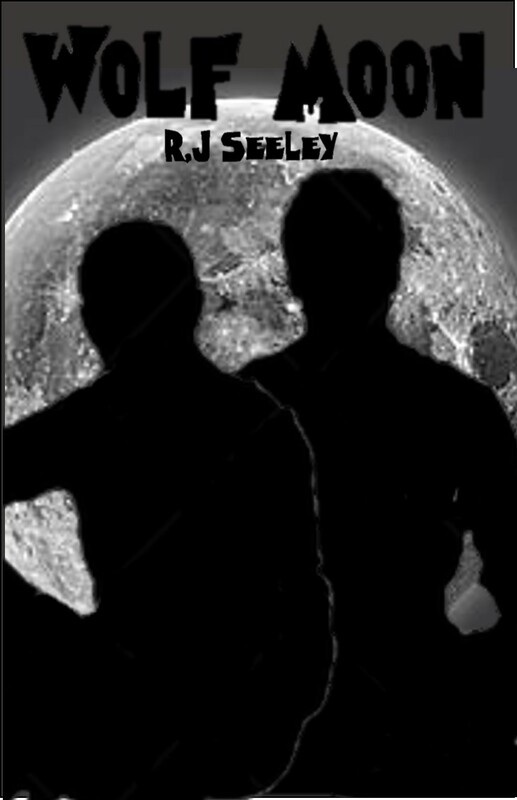 Following the success on FictionPress and Amazon of my first supernatural book Barking at the Moon I’ve been recently working on some other supernatural books. Twins, Kai and Finn were born during the total eclipse of the Wolf Moon and so were both cursed at birth. Twenty-three years on, on the lead up to their twenty-fourth birthday they’re trying to lead normal lives, Kai is studying to be a midwife, a full university course where he has to take a week a month off, the week of the full moon whereas Finn is struggling to decide where he wants his future to go but is struggling due to his lust for human blood. It’s time for Alfie to be introduced into the family business. Which is fine, learning a new skill maybe earning some money, he wishes. Alfie wishes his dad was engineer something mainstream but, of course he’s not. 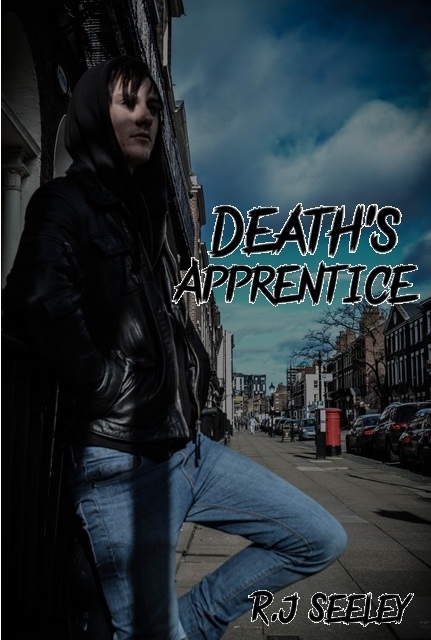 Now Alfie has to balance his school work and exams whilst learning how to become the Grim Reaper! 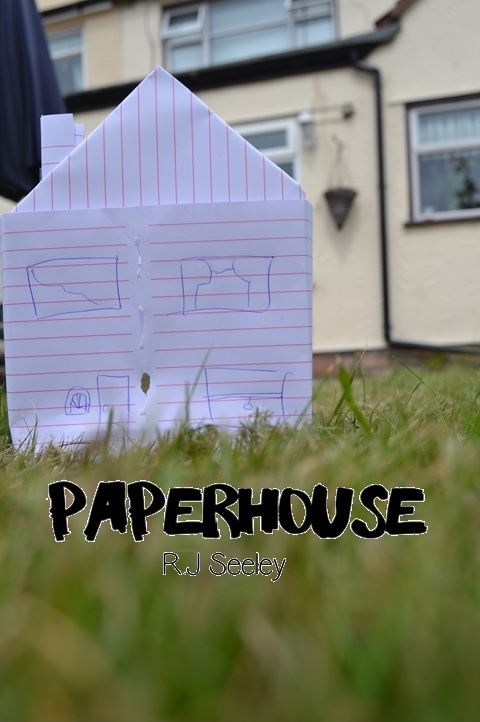 The thing with paperhouses are that once they’re wet they tear and when it’s windy they fall down. The year is 1995, Take That are number one, double denim is huge and Beanie Babies are the latest fad. Michael is 19 and his world gets thrown into chaos when his date leads to the bedroom and even worst the maternity ward but that’s the least of his worries since a childhood friend has come back into his life, come back and come back with a bang, now nineteen year old Michael really has to make a decision Catherine or Pete? Because I don’t, it’s odd. I’ve (by choice) edited three of my books in the last three days, just casually giving them a read and a tweek but I haven’t really wrote anything. When Mickey lays eyes on Casey for the first time he can’t help but feel something towards him, his hair, his clothes, his face, his eyes everything makes Mickey just want to get to know him more and when he does he falls for him instantly, they’re relationship takes off quickly and neither can quite understand why but when Casey tells Mickey that he is transsexual and he’s going in for his operation in just under two months, Mickey is quickly thrown into something he knows nothing about but will he stick by Casey for the next two months? And thereafter? 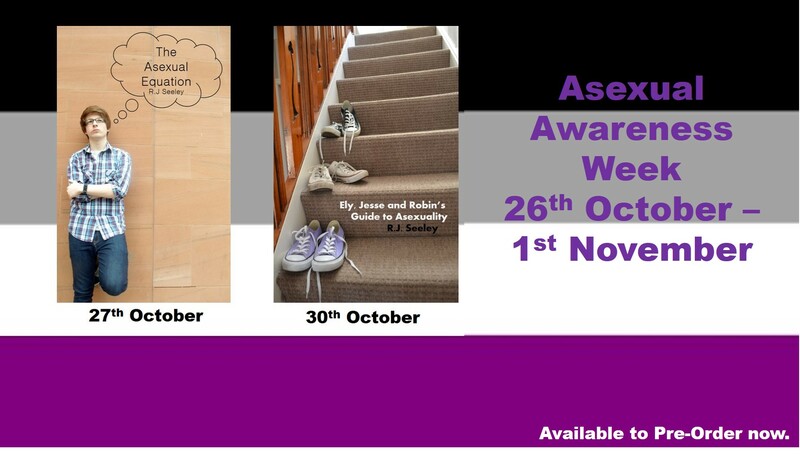 So Casey which will be available to Pre-Order from tomorrow and will be out on general sale on the 20th November! 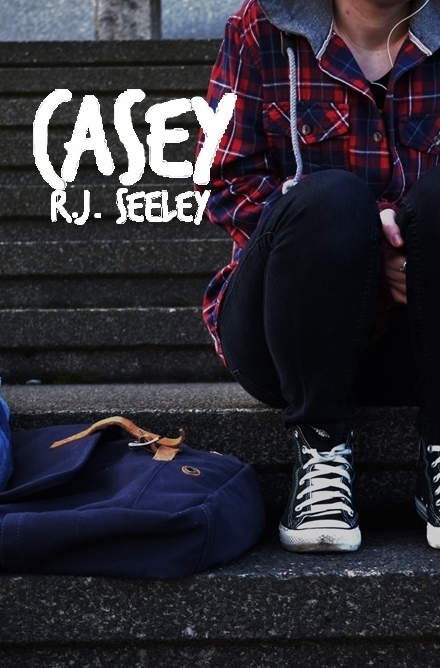 So Casey is very, very nearly finished, I’m literally on the last few pages. The story itself is starting to look like it’ll be about 100 – 125 pages long as it does only cover 2 months it obviously wasn’t going to be a full novel, but I feel like that if this story was any longer it’d take away from the point it’d begin to start just going off topic. This book really has challenged me and made me really expand my writing skills! Hopefully this challenge pays off! Let the asexual, asthmatic kid with ezcema be the hero for once! I’ve been known to make my main character not the most obvious of heroes (and thinking about it they’re not all heroes). I like to think of my boys as the everyday heroes, the kids who deserve a break, they’re not all studs, with hundreds of romantic interests, with six packs or Double G bust size, they’re just kids (teenagers, mostly) who need a break. So, let’s allow the asexual, asthmatic kid with eczema be the hero!